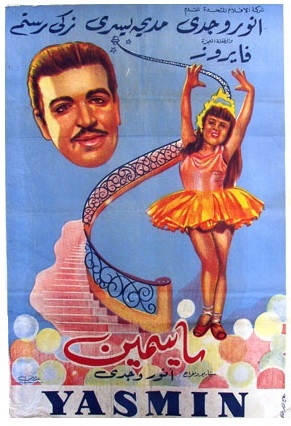 Those of us that are old enough to have known 1970s and 1980s television in the GCC, will remember, among other things, the broadcasting of old Arabic movies from the golden age of Egyptian cinema (or, indeed, turning the TV on to watch the English language movie of the week!). The video quality often left a lot to be desired and films often didn’t make it all the way to the end, but TV resources were scarce and know-how still limited. Newcomers to the communications revolution, the Gulf states weren’t really in the production business and, in fact, aspiring directors across the Arab world struggled to find backing for film projects. The path for an aspiring new film professional was pretty clear: move to Europe or North America. So, it’s with excitement and anticipation that many have watched the increased recognition, investment and talent that Arab cinema has generated during the past few years: at home and abroad. Spot On’s Arab Film Twitter list follows the Twitter profiles of hundreds of directors, producers, actors, film festivals and other film industry types involved in films made in or about the Arab world. Click here to view. Check out Spot On’s Arab Film Pinterest board for reviews of Arabic language and English language films by Arab directors or produced in the Arab world. Click here to view. 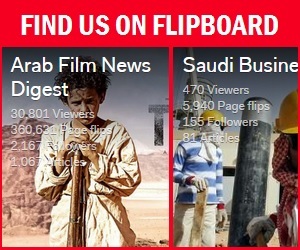 We also curate content including breaking film news, features and film reviews via our Arab Film News Digest, which is a magazine created using Flipboard’s iPad app. Click here to find out more.